If you’re a fan of being British it truly is a weekend to celebrate: the start of the Euro 2016 football championships with England, Wales and Northern Ireland all being represented (let’s not dwell on England’s result too much) and the Queen’s 90th birthday celebrations this weekend with Trooping the Colour yesterday and The Patron’s Lunch today. It’s a weekend to feel proud of all that’s good about our country. Yesterday we were off to a barbecue with some of my husband’s friends to watch the England game. 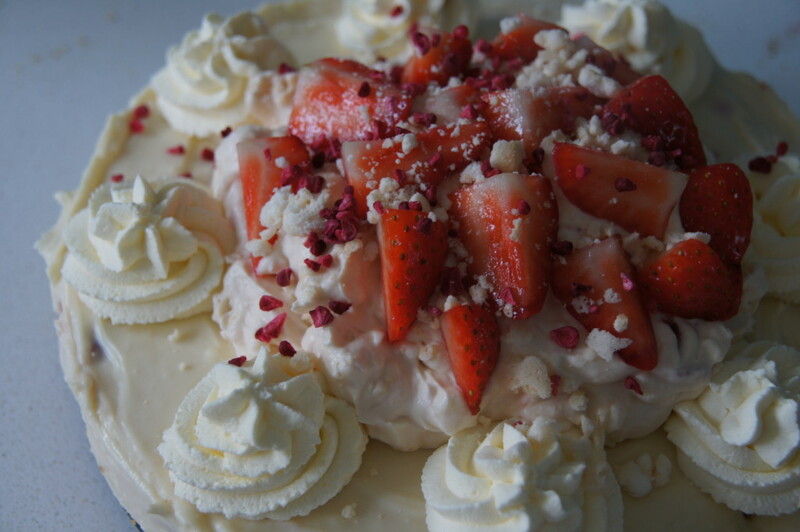 Of course I offered to make a dessert and opted for this Eton Mess cheesecake. 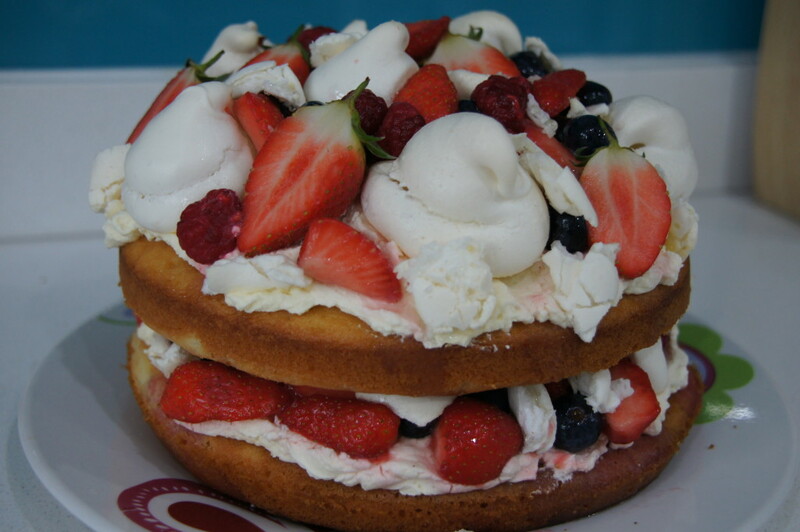 I first found this recipe when I was looking for recipe for an Eton Mess sponge cake which I made back in April when it was the Queen’s proper birthday for our school tea party. Thursday 21st April was a special occasion in British history. The 90th birthday of our longest reigning monarch, the Queen, Elizabeth II. We celebrated at the primary school I work at by having a tea party for the children and their parents. Obviously I knew I wanted to bake something and also wanted it to be something ‘British’. 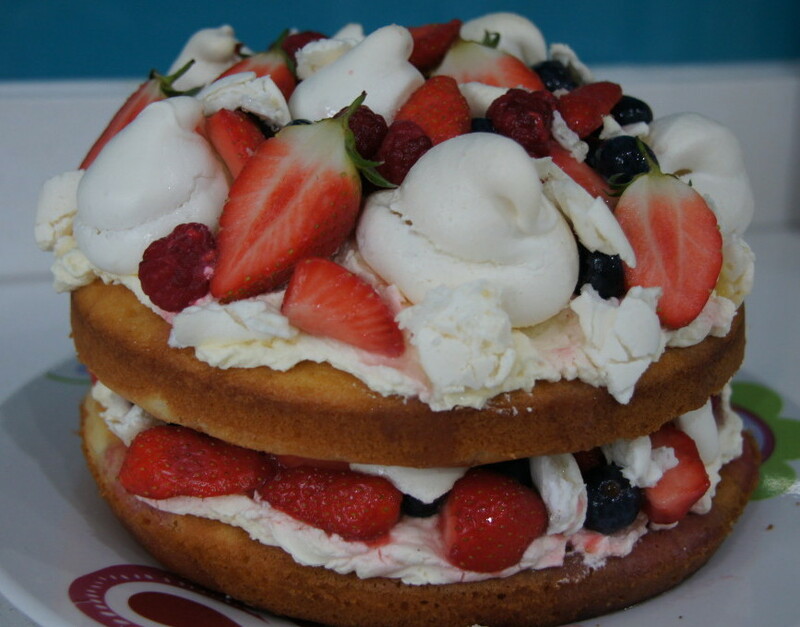 I did consider a classic Victoria sandwich but felt something a bit more extravagant would be more fitting for the occasion. After thinking a bit more I had the brainwave that Eton Mess is a typically British dessert so I could combine both a cake and dessert in one! After having a quick search on Pinterest I found a couple of recipes and opted for this one by Daisy and the Fox.